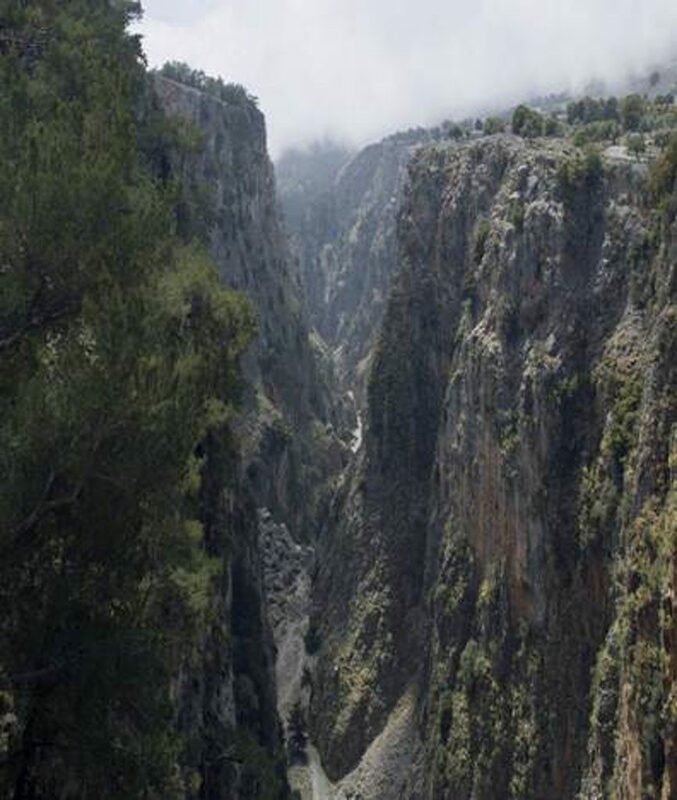 One of the most famous gorges of Crete and quite popular with the hikers, is the Gorge of Aradena. 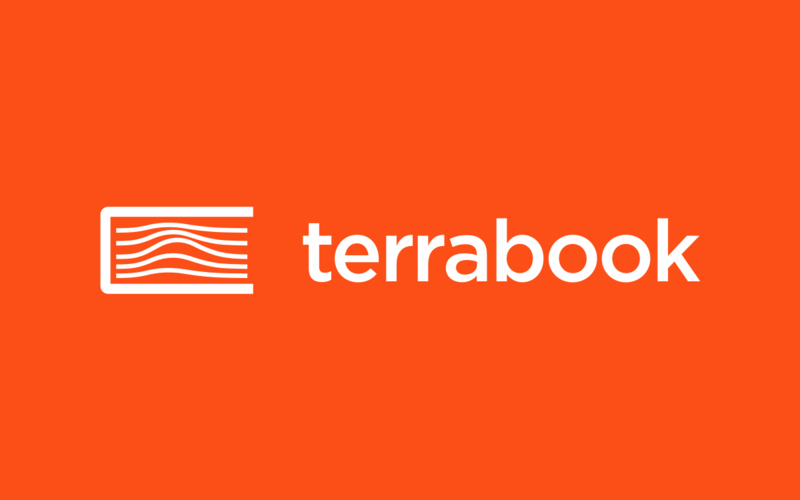 Its total length is 15 kilometers. It starts from the White Mountains and ends at the Libyan Sea, at Marmara beach. 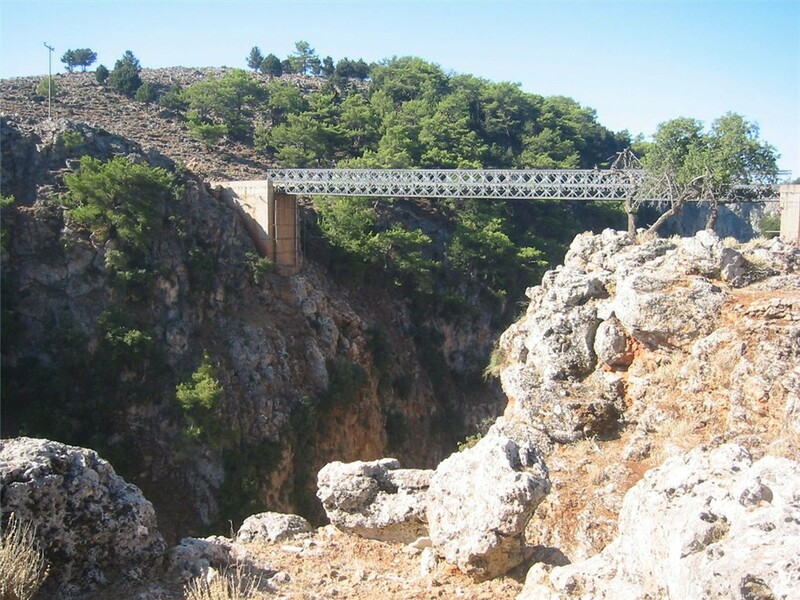 The most prevalent entrance to the Gorge of Aradena is near Anopoli of Sfakia, in the deserted village Aradena, after the bridge of Agios Ioannis. 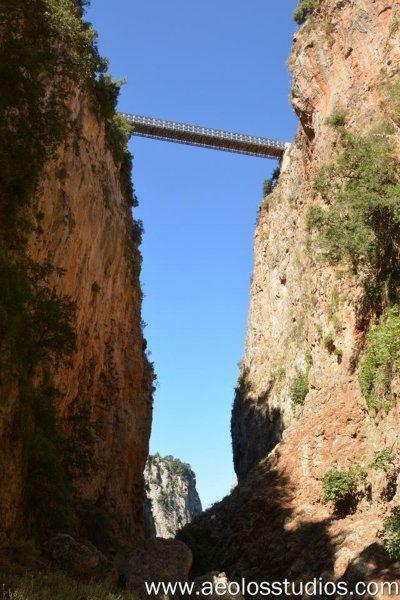 At the point where a metal bridge connects the two ends of the gorge, starts a trail for its riverbed. 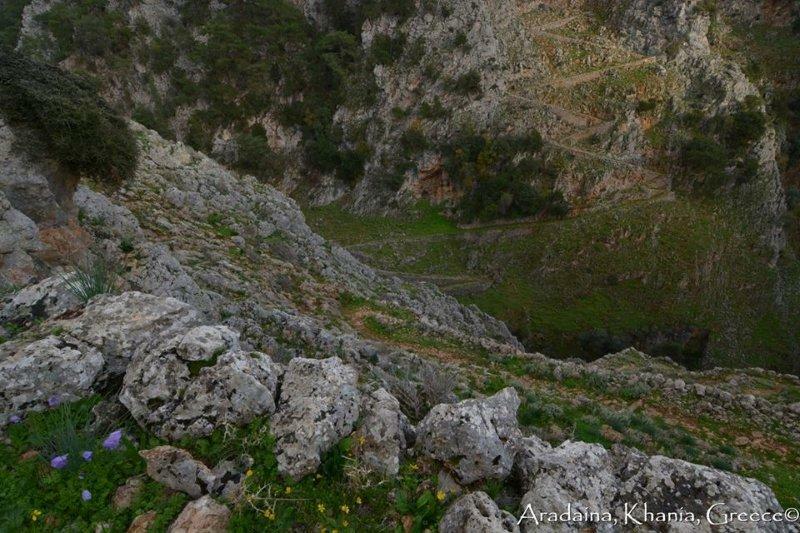 The length of the Gorge of Aradena from this point to Marmara is 7 km and the descent will take about 2.5 hours. The trail is clean and well kept and at some point, when a vertical descent of approximately 10 meters is required, an iron staircase has been manufactured to facilitate the hikers. From the exit of the Gorge of Aradena, the easiest way to leave is to get the boat to Loutro and from there the boat to Sfakia. However, you can continue on the path to Loutro (about an hour), passing by the beautiful beaches Lykos and Foinikas and – if you still have the strength – continue walking all the way to the Chora. 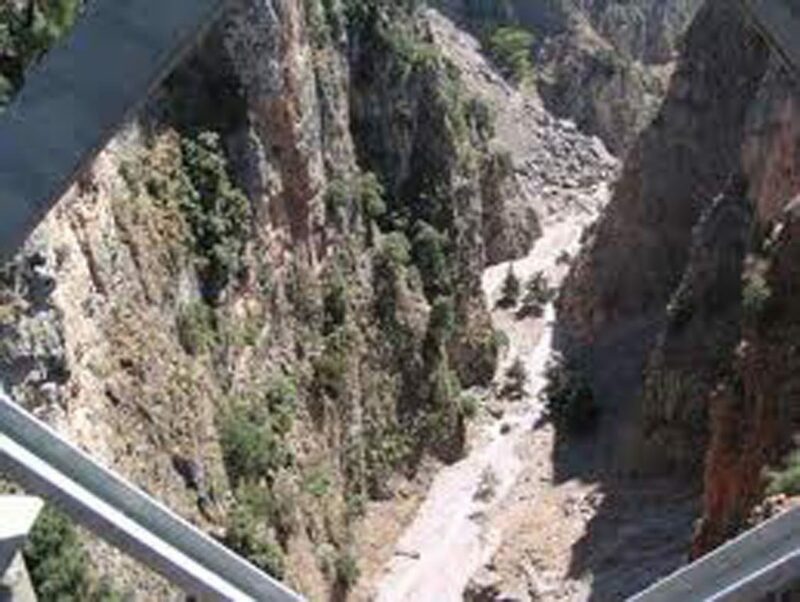 The path Loutro – Sfakia lasts about two hours and the trail in some places is narrow and steep. In the Gorge of Aradena the rich vegetation, the alternation of the elements of the natural environment and the vertical rocks, make the landscape unique.